Cut the tofu into cubes. 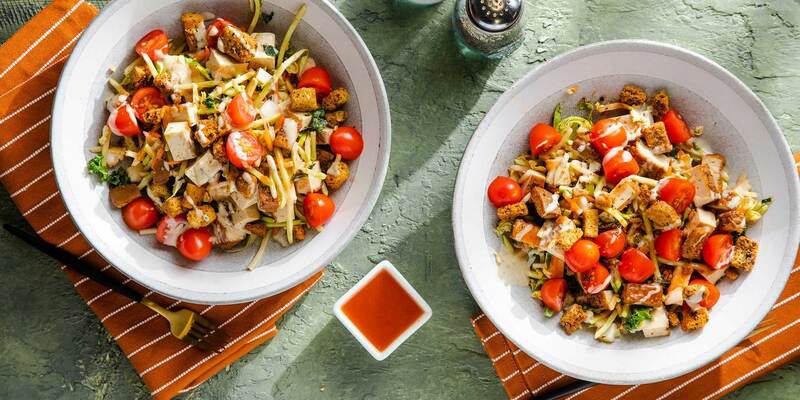 Add the tofu and veggie power blend to a large bowl and toss with the hot sauce. Divide the Buffalo tofu salad between 2 servings and top with grape tomatoes and multigrain croutons. Drizzle with ranch dressing when you’re ready to eat.